According to the best soccer coaches in the world, motivation is one of the most important aspects of becoming a professional, high-quality soccer player. It is also by far the biggest challenge every aspiring player has to face on a daily level. We all know that motivation or lack thereof can be responsible for some dramatic swings in your soccer career, but it’s definitely difficult to keep focus and work hard throughout the entire season. To achieve this, players must resort to proven motivational techniques in order to keep themselves and the entire team on the upbeat during every single practice and game. So, if you’re interested in learning the best techniques to motivate yourself to give your best every single time you’re on that pitch, read our today’s post and implement our recommendations in your training routine. 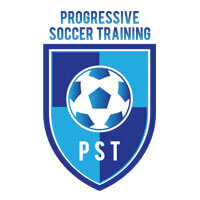 Also, you can take a look at some of the best soccer training programs on our site for more detailed instructions. Before we get to our list of motivational techniques, we have to put some things into perspective. Namely, different personal circumstances will demand different approaches. In other words, there’s no one-size-fits-all solution when it comes to keeping you motivated on the pitch. Your personal motivational “recipe” will hinge on many different factors. Let’s mention your age, your coach and their experience, the overall resources you have available, and the type of teammates you have. For example, very young soccer players can be motivated with a simple clap technique, something that can’t work with older athletes. Each player will react differently to different motivational tactics, so you’ll have to figure out what works for you. For example, some players like a good challenge, some like being a part of the team, some are motivated by playing time, etc. There are lots of different characters and lots of corresponding motivational tactics, so you’ll ultimately have to figure out what keeps you going personally. 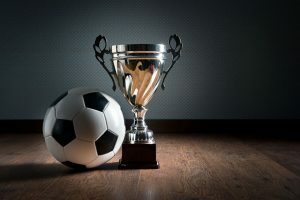 Recognize the importance of motivation – In order to become a professional soccer player, you’ll first have to recognize the role motivation will play in your success. It’s well known that not many coaches are willing to spend too much time on motivating their players, so you’ll be on your own most of the time when it comes to this. Never run at the end of your practice – This is the recipe for not giving your best every single practice. Your brain will automatically make you save your energy for those final 15-20 sprints at the very end, resulting in a mediocre performance during practices. If your coach makes you run at the end, you should seriously discuss it with them since they are definitely ruining your practices. Celebrate small successes – There’s nothing better to keep yourself and your team motivated than celebrating things that might seem trivial but actually aren’t. Celebrate the end of a tough drill or learning a new skill as a team. It’ll raise the team morale and, in turn, motivate you to keep on ranking small successes, leading to all the coveted big ones.